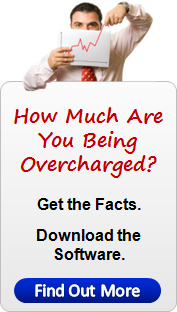 Mortgage Checker Software - Download the free trial and check your mortgage statements. 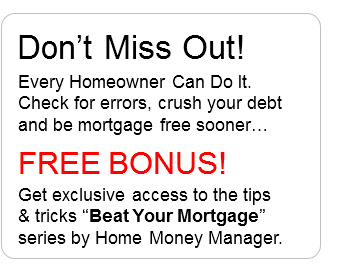 This mortgage watch software is guaranteed to find the errors! 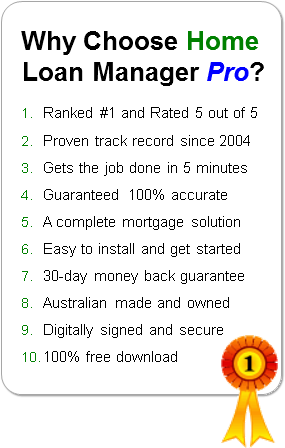 Get instant access to Home Loan Manager Pro, the Australian mortgage interest checker and planning tool. Unfortunately this product is not available in your country at this point in time as it is only recommended for use by Australian and New Zealand residents. 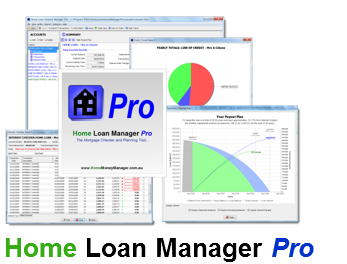 Home Loan Manager Pro is designed specifically for mortgages issued by Australian and New Zealand lenders. As lenders in different countries follow different financial rules and guidelines this product may not be suitable for your use. 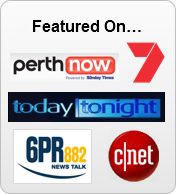 If however you have an Australian or New Zealand mortgage and you would like to download the free trial please Contact Us (and mention your Country is not Australia or New Zealand). 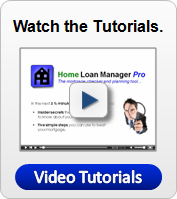 With the full version of the software you get instant access to all features so you can check your mortgage for errors, set up a plan to cut years of your debt and work out how to crush your mortgage. While we know you will love this product, we also provide you with peace of mind with our unconditional 30 day refund policy letting you try this software completely risk free for up to 30 days. With the free trial you can see the software in action, take it for a test drive and make sure it works on your computer/device. The free trial also lets you enter your loan details and get a feel for the product. 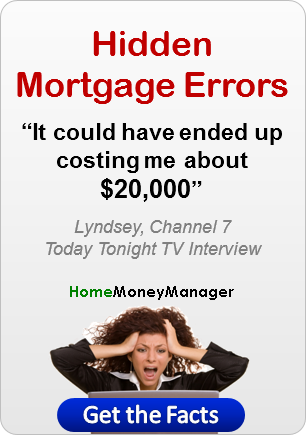 "Audit your mortgage today with this mortgage audit software, and make sure you are not paying for your lender's mistakes!"